Today is all about this beautiful Lonesome Detail pair of boots, how cute are them ? 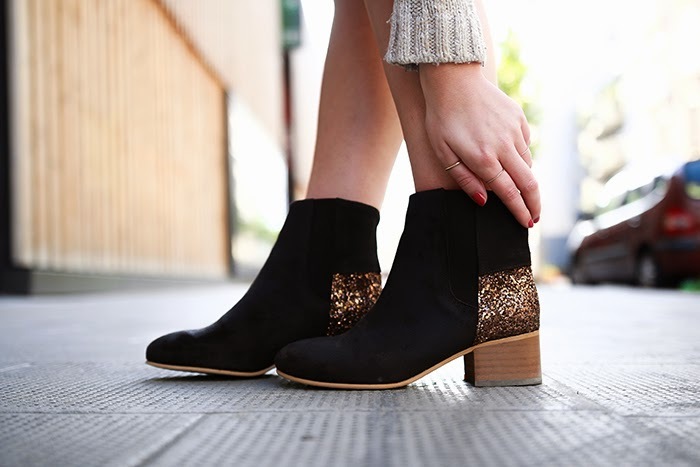 I absolutely fell for this dark brown suede and bronzed glitter boots, which are to me the ideal ones for a great fall look, don't you guys agreed ? This sweater is perfect and I'm obsessed with your glitter booties!